Raymond welcomes opportunities to perform music in less formal settings and is available, by special arrangement, to play for exclusive private parties, recitals for soirées and corporate events. He is available to perform throughout the UK and abroad. If required, Raymond is able to provide light amplification (all of which is PAT tested - an important safety requirement for many quality venues). He also carries Public Liability Insurance - a copy of the certificate is available on request. He is a member of the Musicians' Union. 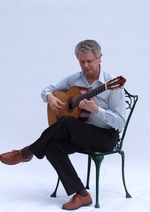 An accomplished guitarist, his varied programmes (drawn from a wide repertoire, to suit different audiences and events) feature music from the renaissance to the present day, including Spanish and Latin American music. He is constantly adding to his repertoire with works from all periods. Please see the Specimen Programme page for details. Raymond can tailor his performance to your requirements with the flexibility to create various moods: a sophisticated ambience for dinners, a relaxed style for low-key events or more rhythmic styles for a lively atmosphere. For private or corporate events his stylish and relaxing music can provide a sophisticated setting for guests without stifling conversation. 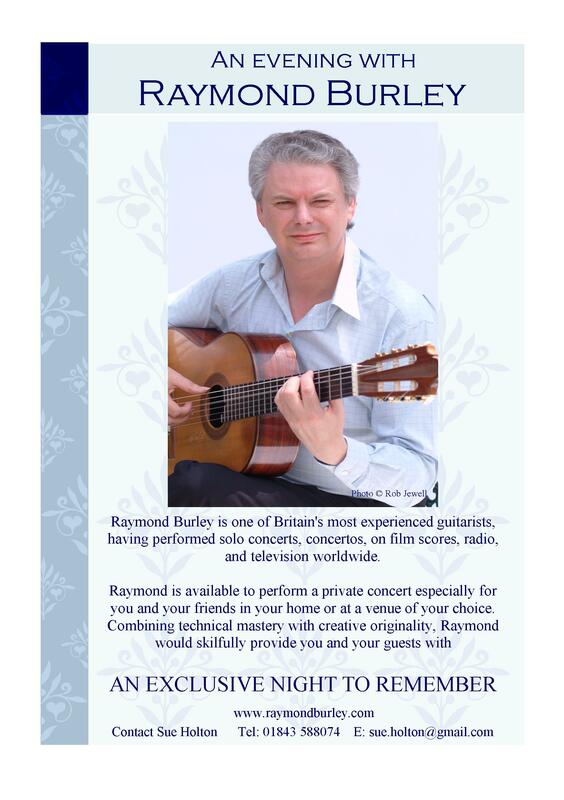 Raymond has extensive experience gained worldwide in performance, both singularly and in ensemble settings. He has performed at many prestigious venues including London's Wigmore Hall, Purcell Room and Symphony Hall in Birmingham as well smaller halls and at functions including weddings, Masonic functions, Valentine's Day, wedding anniversary celebrations etc. Raymond's music will add a touch of class to any occasion; whether providing a gentle and entertaining musical background, or a full recital style performance, the classical guitar is perfect for many types of event. Contact Sue Holton to discuss the event you are planning. Her details are on the Contact page.